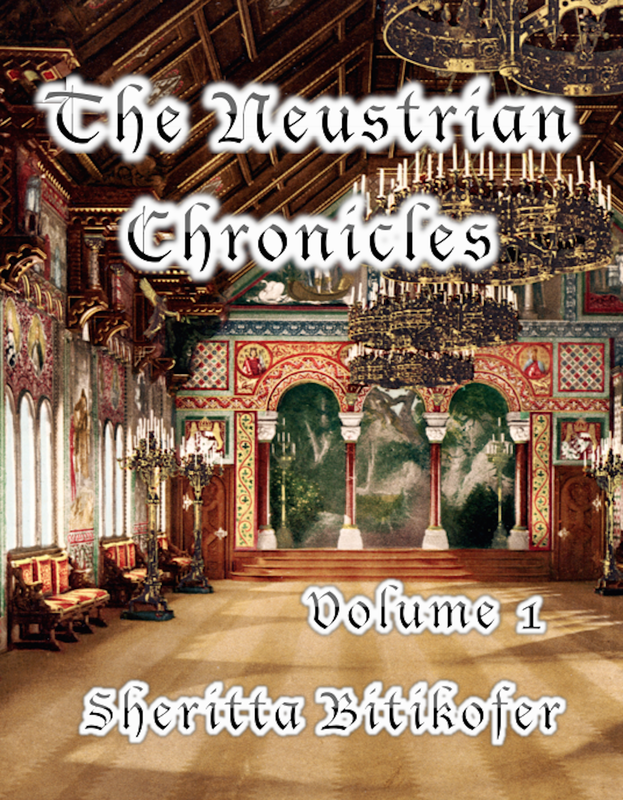 A novella that follows the life of two young people born in the 8th century Frankish Kingdom. Baldmund Martel, the son of a wealthy merchant family from Cologne finds himself the sole survivor of a family feud and hiding from his relatives in the city of Reims as an armorer’s apprentice. Adallinda is the privileged daughter of a count, but her childhood is torn apart by the sudden death of her beloved mother and must learn how to grow into a proper lady amongst her five older brothers. Fate brought them together, but war and duty tore them apart. Now reunited five years later, can their love survive? 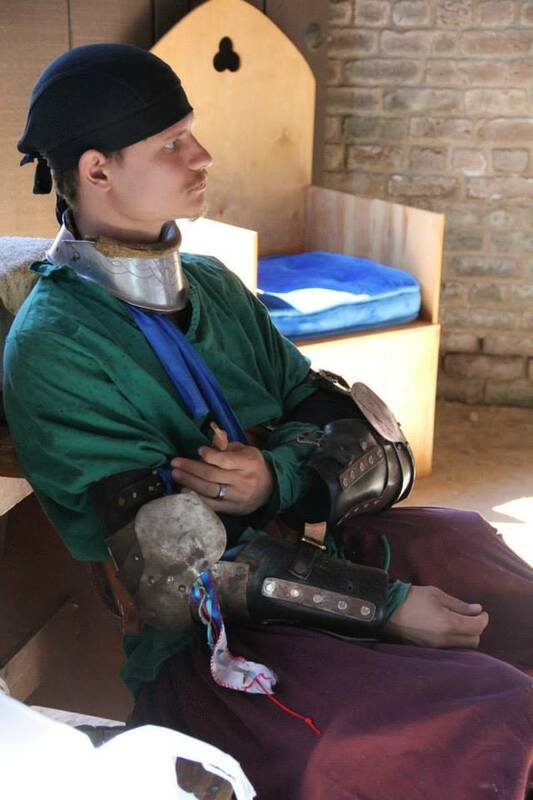 So, my husband and I are members of the SCA (Society for Creative Anachronism) which is a nonprofit medieval history society that aims to recreate the medieval ages and bring them into the modern age. This is not to be confused with a renaissance faire. Those are dog and pony shows compared to the SCA. We focus on being historically accurate, right down to the type of thread used to sew together garb (clothing). I mostly do combat archery with a crossbow, paint illuminated scroll awards (those pretty pages in medieval manuscripts) and bind books. My husband leans more towards the carpentry arts and medieval games. About one weekend a month on average, we go to events for the SCA, traveling sometimes 5 hours away from whee we live to attend a one-day event, dressed up in medieval garb and the van packed with stuff to do. 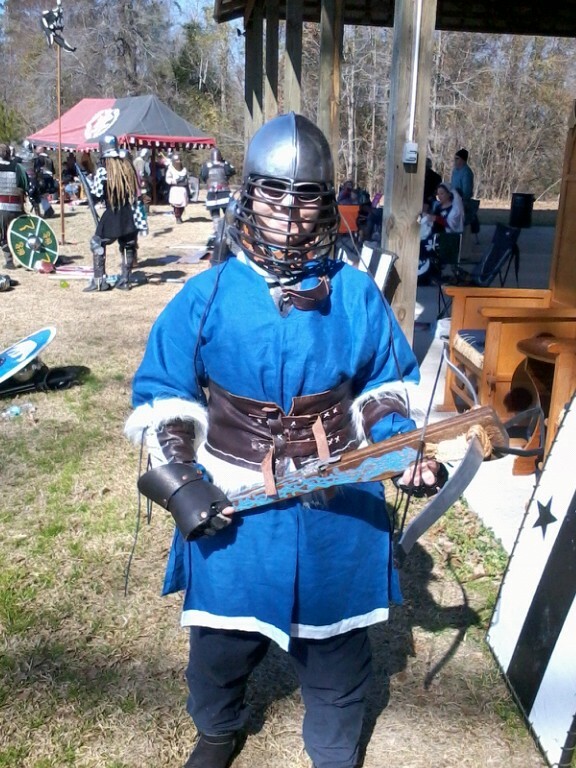 Me in my combat archery armor with custom painted crossbow. Within the SCA, members create “personas”. In short, it’s roleplaying, but you create a character that would have realistically existed back in the time and place of your choosing. Some people pick 14th century Italy, others want to be a samurai, and most of our friends are vikings, just to name a few options. My husband was in the SCA before me and picked the persona of 8th century Frankish (the area we now know as France, Germany and Spain and all those other tiny countries in between) because he admired Charles Martel’s battle tactics. I wanted our personas to be linked, so I created this story of how we met and fell in love and got married in medieval Europe. Some couples meld their personas, but others don’t. It’s not a must-do kind of thing, but I wanted to. Of course, along with creating a persona comes all the hard research attached to it. And believe me, that was no easy task. My bibliography and research notes are included in the back of the book for readers as well.